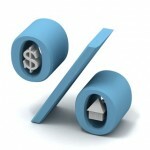 Guarantee Mortgage is one among the leading costal mortgage company. The company offers a wide range of products and services to meet the real estate lending needs of individuals and groups. Guarantee Mortgage involves in mortgage banking and mortgage broking. The Guarantee Mortgage Company was founded in the year 1991 in San Francisco, United States of America. Now the company has about 10 offices in California. Guarantee Mortgage has also approval for lending areas in Washington, Oregon, and Hawaii other than California. The company aims at building trust for a long term relationship with public, realtor, lender base. There are currently 0 consumer reviews about Guarantee Mortgage available. Share your review. Please take a note that you are about to post a public review about Guarantee Mortgage corporate office on CorporateOffice.com. This review will be public, so please do not post any of your personal information on this website. If you would like to contact the corporate offices of Guarantee Mortgage, please use their contact information such as their phone number, website, and address listed above to contact them. However, sometimes staff from Guarantee Mortgage headquarters do read the reviews on this website.